Get More Twitter Followers from Buy Likes 4 You - ! With the superb growth of Twitter, its importance as a social media marketing platform is also growing by leaps and bounds. The fact that about a quarter of Twitter users currently connect with the various brands on Twitter, and over one-third users depend on it to get discounts and promotions, explains why Twitter is a popular medium to be in for promoting your business and why you should pay for twitter followers. It is a great medium for business owners to get leads, increase traffic to their sites and interact with their fans and customers. 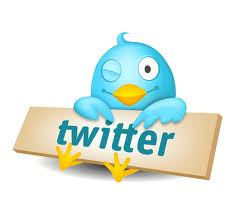 The advantages you can enjoy by using Twitter for your business are several. Here, you can share valuable links and content, send traffic to your e-Commerce site, engage and network, track industry news, offer customer support and, last but not the least, place the message of your brand directly before your fans and advocates. Having numerous followers has almost become a status symbol for Twitter users. Greater the number, the more influential and trustworthy you are. So, it is not at all a bad idea to pay for Twitter followers. We can get you as many followers as you want within a few days. The time frame is obviously dependent on the number of followers you want and also the number of the same you already have on your page. Though we do not mind adding Twitter followers in any quantity you say, we always prefer quality over quantity. You may be wondering what if your number of followers drops; do not worry, we can re-add them for you, because our services do not end with our delivery. Buying followers is one of the best Twitter marketing strategies you can employ to get noticed in the world of Twitter. 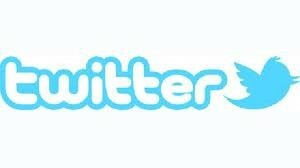 We add Twitter followers to your account, without taking your password. 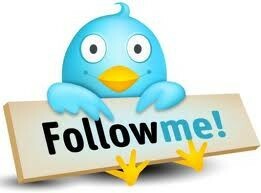 We can provide you with 2000 to 3000 real and safe followers per day. Whenever you need more Twitter followers, we will be providing you with it. You surely won't get a better Twitter marketing service provider than us. For USA followers contact us first. Why is adding Twitter followers a good marketing strategy? • You get to connect immediately with your target audience: When you try to get followers on Twitter naturally, you may find that you are missing out on a great number of sales opportunities. But when you choose to buy them, you get people who are particularly looking for the products/ services offered by you. This, in other words, means you get an opportunity to connect to your target customers instantly. • A larger base of followers means greater presence on the internet: The calculation is simple; more followers means more people know you and your products and services. The greater the exposure, higher are the returns. So, getting more people to follow you on Twitter is actually a way to make more money. • Get more relevant or real followers: It is not rare to get lost amidst other businesses when you get too many general followers; on the other hand, the ones you buy can be more useful as with them, you can market directly without the need of any middle man. • You get immediate results: When you buy real followers, it becomes a lot more likely for them to contact you as opposed to general followers. • You get to turn one follower into ten: Relevant followers are more likely to recommend your brand to other followers, thereby taking your business to more people. To put it simply, you get to enjoy a lot of word-of-mouth publicity.